February 19, 2015 - Settlements have been reached with eight airlines in a class action lawsuit involving the price of airline tickets. Those airlines are: Air France; Cathay Pacific; Japan Airlines; Malaysian Airlines; Qantas; Singapore Airlines; Thai Airways; and Vietnam Airlines. 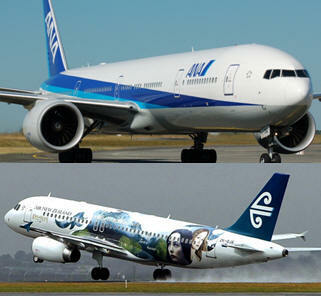 The lawsuit continues against five Non-Settling airlines: Air New Zealand; All Nippon Airways ("ANA"); China Airlines (Taiwan); EVA Airways; and Philippines Airlines. The lawsuit claims that the above airlines agreed to fix prices on tickets for transpacific air travel. As a result, ticket purchasers may have paid more than was necessary. The settling airlines have deny the allegations, and deny that they have any liability, those airlines also deny liability, although ANA has pled guilty to fixing the prices of certain discounted tickets. Purchasers are included if: (1) they bought a ticket for air travel from one of 26 airlines; (2) the ticket included at least one flight segment between the U.S. and Asia or Oceania; and (3) the purchase was made between January 1, 2000 and the present. The settling airlines have agreed to pay $39,502,000 (the "Settlement Fund"). Money will not be distributed yet, and will be distributed pursuant to a Plan of Allocation approved by the Court. Class Counsel will pursue the lawsuit against the Non-Settling Defendants. The settlements affect purchasers of airline tickets between the U.S. and Asia, Australia, New Zealand, or the Pacific Islands.